About Us - Enliten Management Group, Inc.
Enliten specializes in helping organizations develop business and technology strategies using digital media for enterprise communications and workplace learning. We help you make media and video content readily available and easily accessible from the capture and creation of the content through delivery, viewing and measurement. The increased use of video is accelerating the pace of innovation and technological advancements and improved technology adoption rates. Enliten strategies focus on harnessing the power of video for use in communications and workplace learning that enable organizations to consistently deliver improved results, even at the increasing speed of business. Our experience, expertise and business savvy enable us to consistently exceed our client’s expectations. We are experienced in working with and across all company stakeholder groups and functional support organizations. We are passionate about our work and accomplishing client successes. Founded in 1999, Enliten is headquartered in Atlanta, Georgia. The Enliten team features seasoned professionals with extensive experience in Digital Media, Business Communications and Learning/eLearning. We have provided consulting services for an impressive list of distinguished companies and organizations. Our combined knowledge, skill and expertise make us a unique resource to assess existing communications and learning platforms and to combine and leverage these powerful business tools. Enliten provides consulting services that deliver business value via effective communications and learning strategies. Randy has over 30 years of experience in visual communications covering broadcast television, video production, enterprise communications, satellite and terrestrial-based networking services, interactive distance learning networks and digital signage. As President and founding partner of Enliten, Randy is the lead digital media business communication strategist for the team of Enliten Associates and subject matter experts. Through the development of Media Business Strategies and the implementation and integration of emerging video and dynamic media communication and workplace learning solutions, Randy acts as a trusted advisor to corporations, associations, and government agencies and departments. Prior to his founding of Enliten, Randy led business development and sales of Business Television (BTV) and Interactive Distance Learning (IDL) networks at Gilat MultiMedia, Inc., AT&T, and Convergent Media Systems. In his career in broadcast television, Randy worked for local television stations affiliated with ABC, CBS, and NBC, as well as KPLR-TV in St. Louis, where he launched and managed a video production and satellite services division for Koplar Communications. Randy has provided guidance and services to more than 100 enterprise organizations including: Air Force, Air National Guard; American Heart Association, American Family Insurance, Amoco (BP), AT&T Information Management Services, AT&T, Edward Jones Company, Hallmark Cards, Hitachi Systems, The Home Depot, Intel Corporation, International Monetary Fund, J.C. Penney, John Deere, May Department Stores (Macy’s), McDonald’s Corporation, Monsanto Company, Ralston Purina (Ralcorp and Purina), Rollins, Inc., Safeway, Seven-Up Company (Dr. Pepper Snapple Group), Southern Company, Texas Instruments, United Services Automobile Association (USAA), U.S. Air Force Academy, Wells Fargo, The World Bank, and the Government Education & Training Network (GETN). Randy earned his Master’s Degree in Communications and Bachelor of Arts Degree in Broadcast Journalism at the University of Missouri. 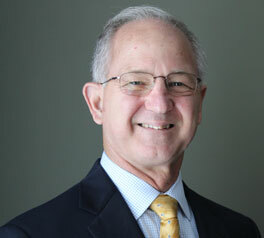 He is on the Board of Directors for the Federal Government Distance Learning Association (FGDLA), the Board of Directors for the Atlanta Chapter of International Society of Professional Development (ISPI), and was a founding Board Member of Society of Satellite Professionals International (SSPI) Southeast Region. He is partner to the Communications Media Manager Association (CMMA). Randy is a recognized speaker. He is the author of Digital Touch Points: How to Gain a Competitive Advantage Using Video and Dynamic Media and has co-authored two industry books: Delivery of Media in the Enterprise and The BTV/IP Receiver Guide.